Please join the High Peaks board members this Thursday for our regular Board meeting. Have a cup of coffee with us at Appalachian Java while we discuss hiking plans, our up cooming work days at Black Mountain Campground and other issues. Meeting begins at 9 am. Hope to see you there! Join the NC High Peaks Trail Association on Saturday, March 4 for one of two hikes that will pass over the Roan balds, known as some of the most spectacular terrain on the entire Appalachian Trail. Please join the High Peaks board members this Thursday for our regular Board meeting. Have a cup of coffee with us at Appalachian Java while we discuss hiking plans, trail work and other topics. Meeting begins at 9 am. Hope to see you there! PHOTO INFO: Photo by Nancy Smith. 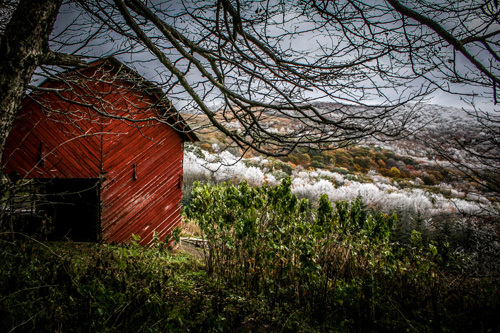 Hikers will enjoy views like this one of the Overmountain Shelter where the Appalachian Trail and Overmountain Victory Trail intersect if they join High Peaks on either of the hikes set for Feb. 11. 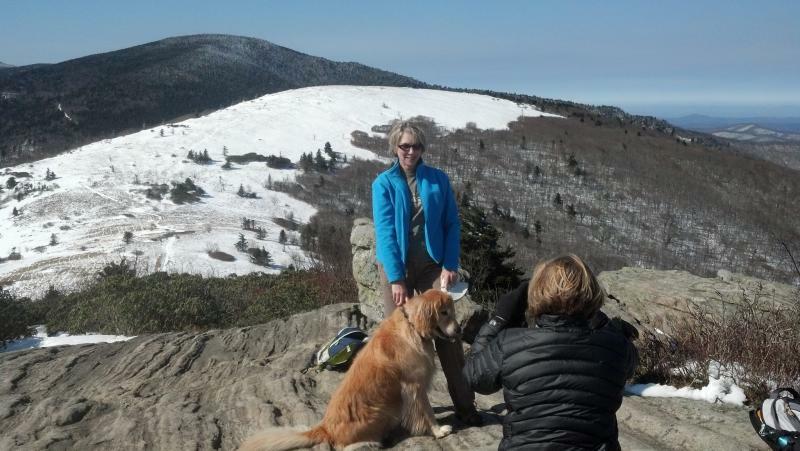 Join the N.C. High Peaks Trail Association for a mid-winter adventure Sat. Feb. The NC High Peaks Trail Association will add a number of moderate hikes to its 2017 schedule in an effort to attract new hikers and those who are working to improve their physical fitness. The first such hike will be on Sat., Feb 11 along the Appalachian Trail, with details to be released the week before the hike. Start your New Year off right by joining the N.C. High Peaks Trail Association Jan. 1 for a brisk adventure climbing Moody Mountain and exploring lands recently added to Mt. Mitchell State Park. State officials have awarded the NC High Peaks Trail Association a $60,000 grant to rebuild a badly-eroded section of the Mt. Mitchell Trail, one of the most popular and iconic hiking trails in the Eastern U.S. Along with the grant, the club announced a fund-raising campaign to create a permanently endowed fund to cover short-term expenses for the project and other future projects like it. The fund will pay expenses as they come in, while the grant – and hopefully future grants - will replenish the fund for a new round of trail projects. The NC High Peaks Trail Association has taken on new duties by agreeing to serve as the Crabtree Falls Chapter of the Friends of the Blue Ridge Parkway. Volunteers will maintain hiking trails and overlooks on the Parkway from near Linville Falls (MM 316) to just north of Craggy Gardens (MM 363). 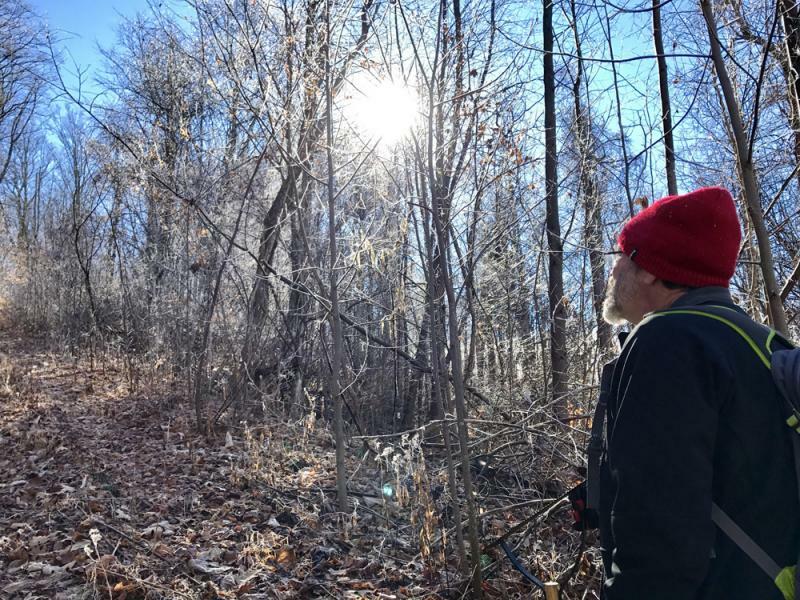 Take a holiday break and work off some of those extra pounds by joining the NC High Peaks Trail Association for a very challenging hike up Woody Ridge on Dec. 3. This hike is the steepest, shortest route up to the crest of the Black Mountains and is only for experienced hikers in good condition. Hikers will meet on the Burnsville Town Square at 8:30 a.m. and carpool to the trailhead. Bring lunch, plenty of water, warm clothes and hiking poles if you have them. Leashed dogs are allowed on the hike. Join us for our last birding stroll of the year. This is always a fun count with people working off a little of that holiday overeating. The trail at the high school winds through the woods and down by the Cane River. There is some good sparrow habitat where we hope to find late fall species.